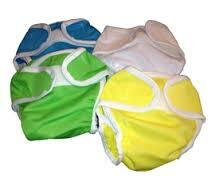 This is a high quality pull-on pant – far from the “rubber pants” of bygone cloth diapering days! A silky and lightweight nylon pant with soft, stretchy Lycra bindings around legs and tummy. The Whisper Pant is durable and won’t rip or crack unlike the old “rubber pants”. And it’s comfortable – with a generous cut to accommodate any fitted cloth diaper. Perfect for nighttime and over training pant! 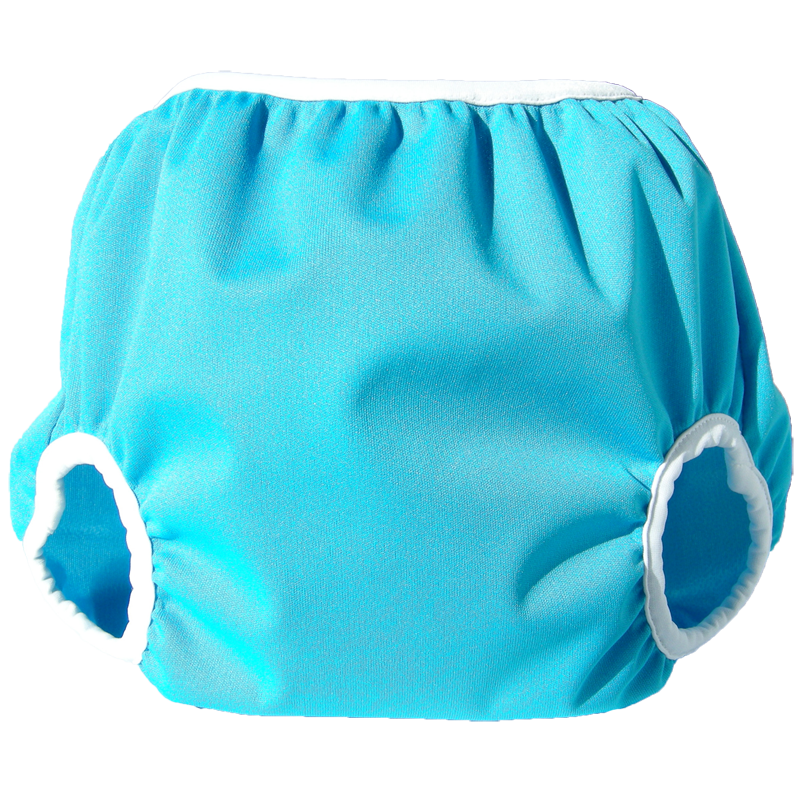 This is a high quality pull-on pant – far from the “rubber pants” of bygone cloth diapering days! A silky and lightweight nylon pant with soft, stretchy Lycra bindings around legs and tummy. The Whisper Pant is durable and won’t rip or crack unlike the old “rubber pants”. And it’s comfortable – with a generous cut to accommodate any fitted cloth diaper. Ideal when you need total coverage – quickly. 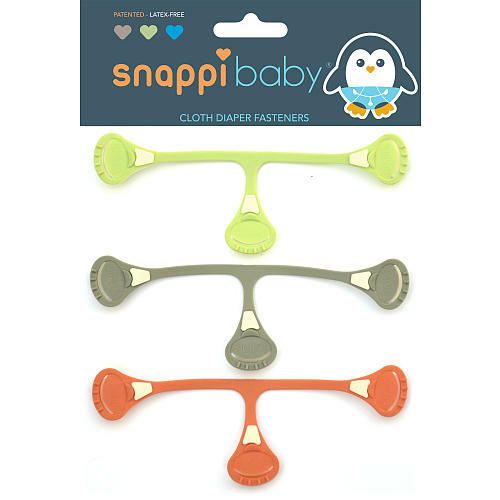 Just slip it on over a fitted cloth diaper or a flat cloth diaper with a Snappi or pins. Easy! Leak-proof! 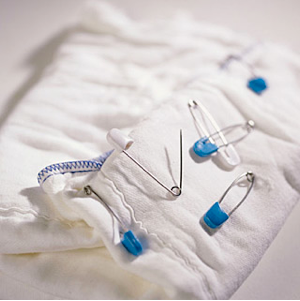 Great for those who prefer pinning diapers as well. Of course, as is true of all Bummi cloth diaper covers, the Whisper Pant is made with careful attention to detail in their own wonderful factory in Montreal, so that you are assured of good quality and fair labor practices. The fabrics and components Bummi produce with are all sourced in North America and are guaranteed lead, phthalate and BPA free. -Machine or hand wash lukewarm. -Avoid bleach, brighteners and fabric softeners. -Use very little regular detergent or a zero-residue detergent. Using natural or oil-based soaps or too much detergent may leave a residue that can cause pants to retain odors and/or leak. -Dry in the dryer on “air” setting (no heat), or hang to dry. -Dry at regular temperature in the dryer or on a clothesline. Sunlight is a natural brightener and disinfectant! Bummis guarantees that their polyester products will be waterproof for 100 washes and their nylon products for 50 washes. 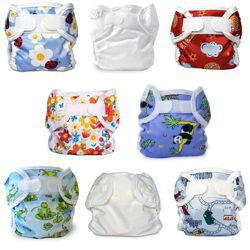 This guarantee applies to the waterproof fabric only, and will only be honored if: -The product has been washed according to instructions -The product is part of a rotation of products and has undergone reasonable use Bummis guarantees that their products will be free of defects in workmanship after reasonable use as part of a rotation of diapering products. They will not replace products after 6 months or without a proper proof of purchase. Please note that the warranty does not apply to products that are not functioning properly because of a build-up of detergent residue, although Bummis will do their utmost to co-operate with their clients in the resolution of this problem.